By creating carpets that are both rich in quality and durability, they have become known for their unique, hand-woven designs and quick turnaround for custom orders. Located in New York City, the company manufactures, imports and retails carpets that feature vibrant colors and utilize traditional weaving techniques to create rugs that are made from 100 percent Tibetan sheep wool and silk. Since 1998 Yeshi and her team have been creating rugs for homes and businesses that range from minimalist color fields to the most colorful and traditionally-designed originals. Inspired by everything from fashion to nature to architecture, Yeshi noted that she is typically drawn to clean and simple patterns. Additionally, she has found that her contemporary rugs are the most popular because they feature patterns that are simple yet creative. Since all of the rugs are made in Nepal and are woven by hand, Yeshi maintains long-standing relationships with the weavers who produce her rugs. Once the wools are imported they are washed and dyed and then the weavers begin their work. For example an 8 x 10 rug requires three people and just under two months to complete. All of the rugs use hand-spun yarns which have an uneven structure and therefore produce a very fine yarn and carpets with higher knots. According to Yeshi, the higher knots result in each rug having a natural look that highlights the nuances of the patterns and details. Additionally, this technique ensures that every rug is dense and firm (which means the rugs don’t move and people will not trip on them) and long-lasting. Although the company carries a wide array of designs, they specialize in custom orders. Customs can be any shape and can be as large as 22 x 32. Customers may use any kind of color or pattern whether that means choosing from the 500 color options offered or bringing in their own pattern. 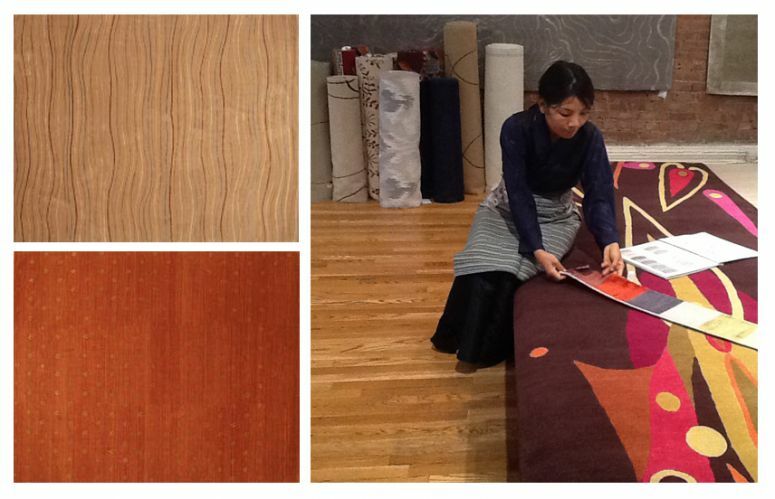 Everyone sees a sample before the custom rug is made and each one takes between five and six months to produce. All rugs are presented exclusively in the United States. Since starting her own company, Yeshi has won awards for Outstanding Immigrant Woman Entrepreneur and America’s Magnificent Carpet Award For Design. She is also the first Tibetan female in the United States to have her own company manufacturing and distributing Tibetan carpets. Yeshi credits her attention to detail and customer service for the success of her business. 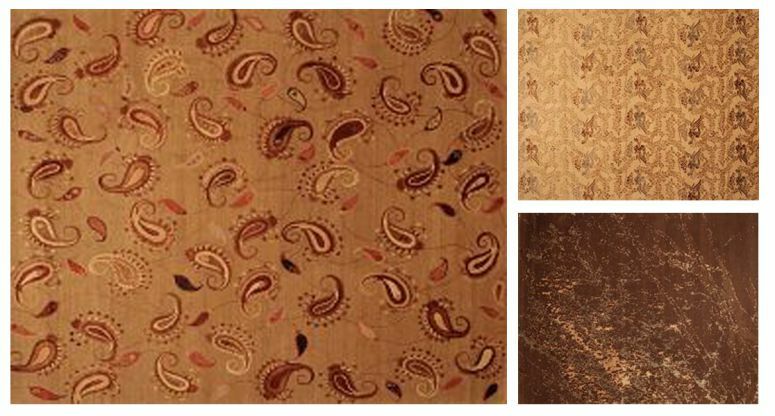 View our entire selection of rugs from Tibet Home. A VERY SPECIAL PROMOTION - Yeshi has offered a very special promotion in order to support her efforts. 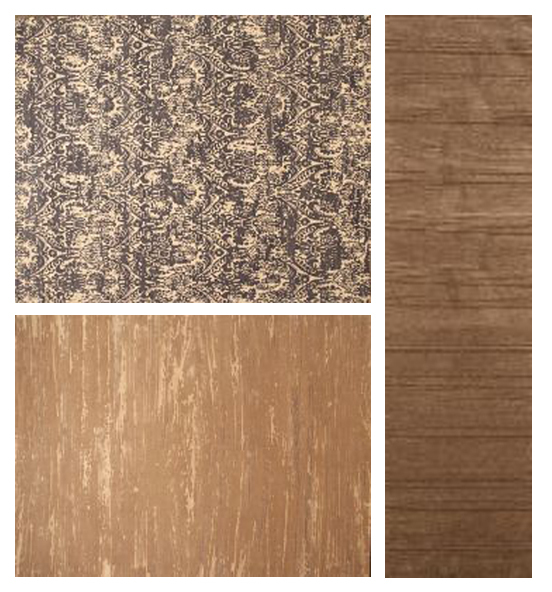 Select the rug image you see from our "SALE SELECTION" to see the exceptional price. You will find amazing opportunities to own a truly Tibetan rug at very low prices. Select from the rugs here and ask if you see a rug you like, but want it in a different size. We can ask Yeshi and she just might have it available in the size you are looking for.